For institutions of higher learning, providing an agile response to fast-changing workforce needs is like turning a ship. Difficult and cumbersome for an aircraft carrier, but potentially faster and more graceful for a sleeker craft. So, when it came to maneuvering the waters of the state’s churning tech industries in the early 2000s, the Texas legislature chose three speedboats. “Imagine: community colleges for the first time offering bachelor’s degrees,” recalls Dr. Ali Esmaeili, Dean of Math, Science and Bachelor’s Programs at South Texas College, one of just three two-year colleges in Texas to be given such authorization in 2003. “For almost two or three weeks, I couldn’t sleep… how to get this started? 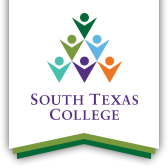 From the maiden voyage of the initial program – the Bachelor of Applied Technology: Technology Management degree in 2005 -- to the legislative launch of its fourth bachelor’s degree program in 2014, South Texas College’s bold experiment has kept a course of success. Between 2007 and 2017, more than 1,400 students earned bachelor’s degrees through the four available programs, with approximately 80 percent finding degree-relevant employment. With demand for tech-savvy professionals higher than ever, it’s hard to say who benefits more: the students building workforce-ready career skills, or the local economies that depend on them. STC’s bachelor’s degree programs are carefully curated to fill gaps in the workforce, usually in response to glaring regional need. Opportunities are legion for graduates of the unique programs, with demand continuing to outpace supply of qualified professionals in critical sectors like healthcare. In a region bearing some of the highest levels of obesity in the U.S. (McAllen ranks #3, according to WalletHub’s 2018 report), the education and training of medical services managers has become a priority. South Texas College’s Medical & Health Services Management program, launched in 2011, has seen its enrollment jump from 45 students that first year, to 234 in 2017. Focusing on the career skills required by managers in the healthcare industry, the MHSM program covers the software and systems used in real-world medical billing, record-keeping, electronic storage and other technological aspects of the industry. Dr. Hilaire Saint Pierre, Department Chair and faculty for the Medical Health Services Management program. “Wherever those students go, they'll have the preparation and skills to succeed and thrive,” says Dr. Hilaire Saint Pierre, Department Chair and faculty for the Medical Health Services Management program. According to the U.S. Bureau of Labor Statistics, demand for health services managers is climbing at a staggering rate of 20 percent -- far above the national average for all careers. Salaries are keeping pace, with the average bachelor’s degree-holding medical and health services manager earning $98,350 per year. “The jobs are there”, says Saint Pierre, who fields calls relating to local industry staffing needs on a near-constant basis. According to the professor, South Texas College’s reputation for producing qualified professionals puts his program at the top of call sheet for local healthcare businesses. STC’s close relationship with the community – and particularly its busiest industries – has engendered not only a sense of trust, but a commitment to cooperation. Each of the four South Texas College bachelor’s degree programs is guided by an advisory committee, featuring education leaders and industry experts from the public and private sectors. By soliciting advice and information directly from the business community, STC is able to keep its coursework current, cutting-edge, and in line with regional demand. “Our grads are really energizing us, with business and industry guiding us,” says Esmaeili. South Texas College’s groundbreaking work, along with that of co-pioneers Midland and Brazosport, has helped bring community college bachelor programs in Texas from wild experiment to legitimate classroom-to-career pathway. The passage of Senate Bill 2118 in June 2018 opened the door for more two-year colleges in the state to offer bachelor’s degrees in high-demand fields like applied technology, applied science and nursing. Meanwhile STC has cleared legislative hurdles to launch its fifth bachelor’s degree program, in Nursing. To find out more information about STC’s Bachelor Programs visit https://bachelors.southtexascollege.edu/.